“Social Pane” a new feature introduced in Microsoft Dynamics CRM 2013. We can see POSTS, ACTIVITIES and NOTES tab in Social Pane. We can hide them as per the business need. 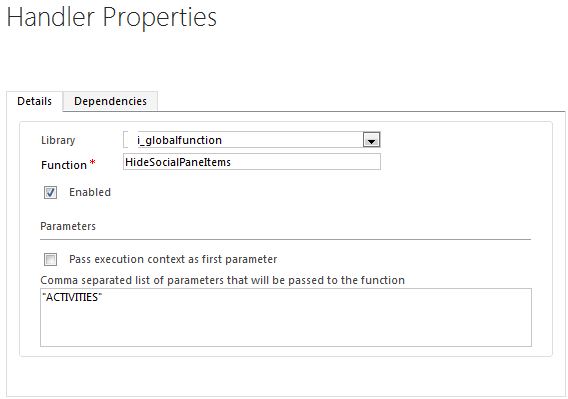 Will show you with a simple example to hide ACTIVITIES tab from Social Pane.